Carol and Jake interview the fascinating Mike Hughes from Next Level Training. 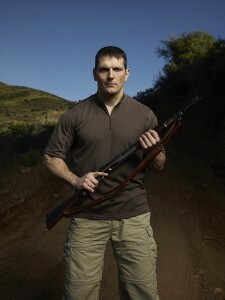 We hear all about his passion for nutrition and fitness and how he works his love of pistol training into his healthy lifestyle. Welcome to the Fat2FitHQ podcast. I’m your host, Greg Bakken from Tactical Paradise, and here we chronicle our journeys from Fat to Fit. We’ll talk about pursuing a healthier lifestyle not only in diet, but in all areas of life. Mike Hughes is from Next Level Training and has a big passion for fitness. Jake and Carol interview Mike at the NRA Annual Meeting in Houston Texas. Mike mentions his friend Tom Malterre (his bio is at the bottom of the page).